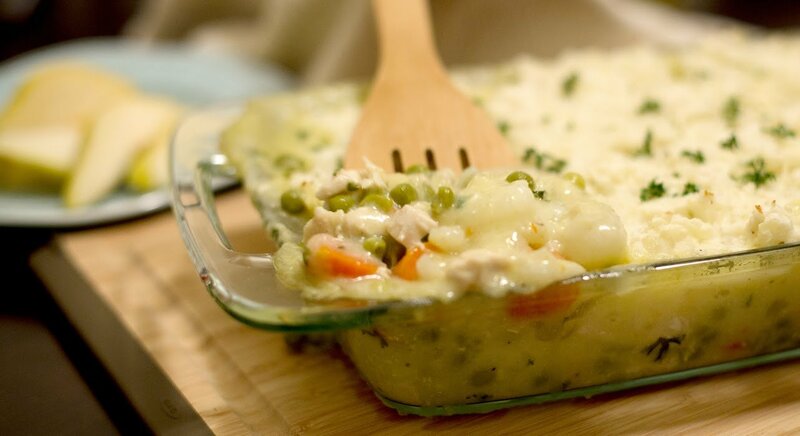 I really like this recipe, because it’s an easy, “less-mess” way to enjoy fish and veggies. The salmon provides protein, omega 3s, high amounts of vitamin B12, and vitamin D (wild salmon has even more vitamin D). Cut four sheets of aluminum foil about 14” long. Place 8 spears of asparagus on each piece of foil. In a small bowl, stir together oil and garlic. Drizzle 1 teaspoon of the oil mixture over the asparagus. Sprinkle with 1⁄2 teaspoon salt and 1⁄2 teaspoon pepper. Sprinkle remaining salt and pepper on each side of the fillets. Place on top of the asparagus. Drizzle 1 teaspoon of the oil mixture over the top of each fillet. Top with two slices of lemon. 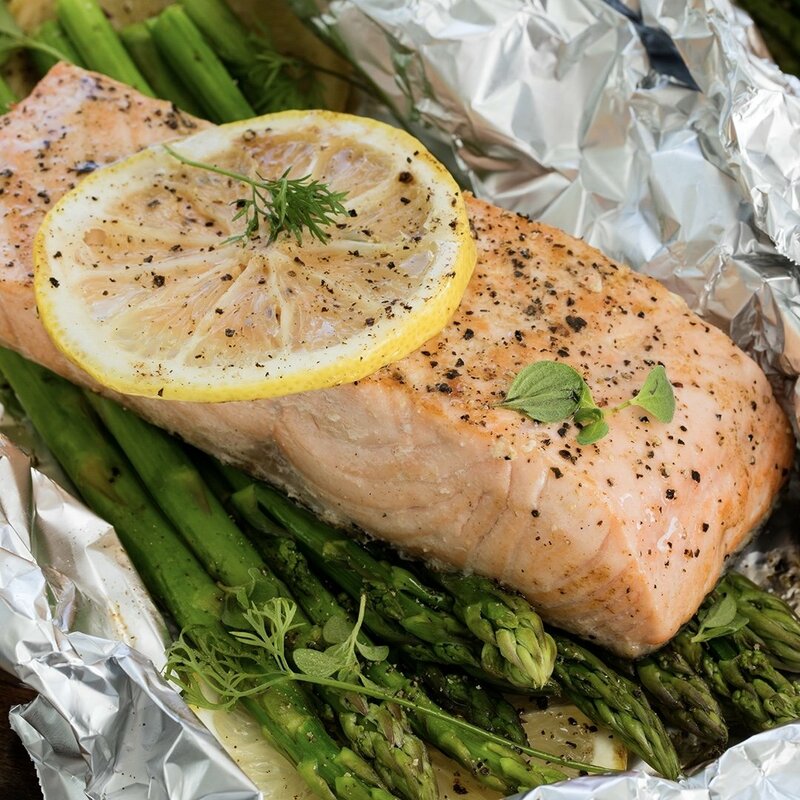 Wrap the foil inward over the salmon, then fold in the top and bottom of the foil to enclose the fillet and asparagus. 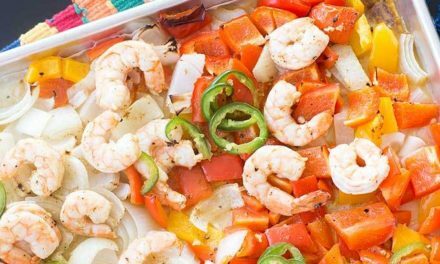 On a baking sheet, place the foil pouches in a single layer. Bake until salmon is cooked through—about 20 minutes.